DO CEILING FANS HELP LOWER ELECTRIC AND A/C BILLS? 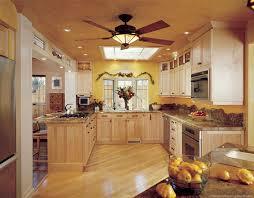 Ceiling fans can cut back excessive use of your home’s air conditioning and heating unit and use 5% less energy. They use about the same energy as a 100-watt light bulb. The Department of Energy says YES. The Department of Energy’s Energy Information Administration predicts that the price for natural gas, used for electricity and heating fuels, may increase 65 percent this winter .So, it is time to start thinking about ways to save on heating and cooling, especially since it makes up 45 percent of an energy costs. The answer to saving money is with a ceiling fan. Fans make a room feel cooler, and the one in our living room quit w Turn up your thermostat because a ceiling fan can make an air-conditioned room feel four degrees cooler. The ceiling fan works to move the air throughout the room, which makes cooler. If you use a ceiling fan in cooler climates, it can actually make a house feel cool enough to prevent the need for an air conditioning. In hotter climates, a ceiling fan can make an air-conditioned room feel four degrees cooler, allowing you to raise the thermostat. By raising it two degrees, you can save up to 14 percent on your yearly energy bill. Always turn off the fan when no one is in the room. Ceiling fans make people feel cooler, but they won’t actually change the temperature of a room like an air conditioning unit would. So there’s no point in burning the energy used by a fan when the room is empty. A ceiling fan should rotate counter-clockwise (in summer time), which moves the airflow in a downward direction creating a cool, wind-chill effect. When the fan is rotating clockwise, change its direction by just flipping the fan’s slide switch, is found on the motor housing at the body of the fan. In cooler weather change it back and the fan can make a room feel warmer. When a fan is rotating in a clockwise direction, it forces warm air down from the top of a room to the bottom. The height of the ceiling determines the fan you should choose. There should be at least seven (7) feet between the floor and the blades of the fan. This height prevents people from hitting their head. Buy a fan with a rod that allows the fan to have a hanging depth (the distance between the ceiling and the bottom of the fan) of about 10 inches, this allows the air to circulate (If there’s enough room.). Fans with a performance grade motor are expensive but are designed for lots of use, operating 12 or more hours a day. A medium grade motor can be used for 12 hours or less a day, and a moderate or economy grade fan can be run for eight hours or less a day. In the summer, cooling your home can account for half of your summer power use. Central Air Conditioning comfort comes with a hefty price. A 2.5-ton central system uses about 3500 watts. At 12 cents per kilowatt hour, it costs 42 cents an hour to run your air conditioning unit multiplied over 24 hours, It is a $10 a day expense. Over the course of a month, summer can cost your family $300 or more in extra electricity costs. So run your fans. 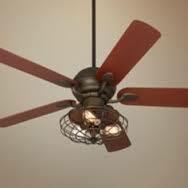 A ceiling fan can cost around a penny an hour to run. You can run more than 40 ceiling fans for the same cost of your central AC. 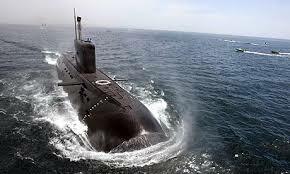 A submarine is mostly all metal, and metal is an excellent conductor of heat. The surface area of a submarine is large. The ocean is filled with convection currents, caused by the sub’s motion. This makes the heat transfer between submarine and ocean an active process. The temperature’s difference between the sub and the ocean is small, the total heat transfer is considerable because of the large contact area. There is continuous production of heat, given off to the submarine air by hot engines, storage batteries, galley stove, electric lights, electric heaters, other devices, and human passengers. There is continuous production of moisture, given off to the air by evaporation from these same four main sources. The moisture production averages about 1000 pounds of water per day. If the submarine is running on the surface, it is an easy matter to discharge this excess heat and moisture outboard. When the submarine is submerged, heat cannot be discharged outboard, and must be eliminated during recirculation of the air. If the submarine is warmer than the ocean water, the interior heat of the vessel gradually passes through the shell into the water. The temperature of the air inside drops and, when it reaches the dew point, the water vapor in the air begins to condense on every available surface. So, the interior surfaces of a submarine are coated, with cork paint, to prevent or reduce this condensation to a minimum. The beginning of the condensation, however, depends upon the dew point, and this can be controlled by air-conditioning. Therefore, air-conditioning is just as essential for this purpose as for the comfort of the crew. It is always advisable to lower the dew point before a dive. But, if the ocean is warmer than the submarine, there is a passage of heat from the water into the ship. However small this may be, it adds to the interior heat. The same result occurs if the loss of heat from this vessel to the ocean is less than the interior heat production. In hot summer weather, especially in tropical and subtropical regions, the air temperature in a submarine may rise to fairly high levels. In a submarine, there is only a few cubic feet of space available for air-conditioning equipment, and the cooling capacity is limited. The purpose of the air-conditioning system is not to cool the whole submarine. Let’s assume the air contains enough oxygen for the needs of all the occupants within the given space. A supply of oxygen compressed in cylinders is carried on board submarines to be released into the air as needed. The submarine has room enough for air-conditioning machinery to control the dew point. Control of the dew point means control of the relative humidity, and the relative humidity is the factor of major importance. The dew point of the air is the temperature at which that air is saturated with moisture. If the temperature of the air is then further lowered, some of the moisture must condense out. The air in the submarine room is drawn by fans into and through the ducts to the air-conditioning evaporator. In passing over the cooling coils, its temperature drops below its dew point and part of its water vapor condenses out, inside the evaporation cabinet. The condensed water is not permitted to get back into the air, but is drained off into a tank. The air, now lower in moisture content and slightly lower in temperature also, continues its flow through the ducts and is finally blown out into the room again. This conditioned air mixes with the moisture and warmer air still in the room, resulting in an over-all condition that is drier than the original unconditioned air. 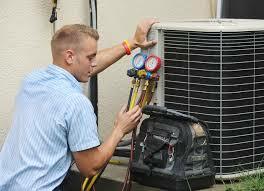 In hot climates, the air-conditioning system must be operated at maximum capacity. The procedure is to operate the compressors at full speed and the blowers at a speed that the temperature of the air from the discharge side of the evaporators is below the dew point. The conditions of high air temperature in the tropics are naturally adverse to effective air-conditioning, especially when the large area of open water surfaces in the bilges is considered. The plant must be run to obtain maximum comfort and protection of equipment against moisture, both of which are obtained by removing the large quantity of water vapor from the air. This condensing process is accomplished by always maintaining the temperature of the discharge air from the evaporators below the dew point. The nuclear submarine, USS Sea Wolf was the only U.S. submarine to have a sodium-cooled nuclear power plant. It was commissioned in 1957, but it had leaks in its super heaters, which were bypassed. In order to standardize the reactors in the fleet, the submarine’s sodium-cooled reactor was removed starting in 1958 and replaced with a pressurized water reactor. A liquid metal cooled nuclear reactor, liquid metal fast reactor or LMFR is an advanced type of nuclear reactor where the primary coolant is a liquid metal. Liquid metal cooled reactors were first adapted for nuclear submarine use but have also been extensively studied for power generation applications. They have safety advantages because the reactor doesn’t need to be kept under pressure, and they allow a much higher power density than traditional coolants. 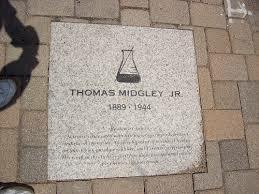 Thomas Midgley, Jr. (May 18, 1889 to November 2, 1944) was an American mechanical engineer and chemist. He was a key figure in a team of chemists, led by Charles F. Kettering, that developed the tetraethyl lead (TEL) additive to gasoline as well as some of the first chlorofluorocarbons (CFCs). He was granted over a hundred patents. He was honored for his scientific contributions during his lifetime but, the negative environmental impact of some of his innovations has tarnished his legacy. Midgley was born in Beaver Falls, Pennsylvania. His father was also an inventor. He grew up in Columbus, Ohio, and graduated from Cornell University in 1911 with a degree in mechanical engineering. He started work at General Motors in 1916. In December 1921, while working under the direction of Kettering at Dayton Research Laboratories, a subsidiary of General Motors, He discovered that the addition of TEL to gasoline prevented “knocking” in internal combustion engines. The company named the substance “Ethyl”, avoiding all mention of lead in reports and advertising. Oil companies and automobile manufacturers, especially General Motors which owned the patent jointly filed by Kettering and Midgley, promoted the TEL additive as a superior alternative to ethanol or ethanol-blended fuels. December 1922, the American Chemical Society awarded Midgley the 1923 Nichols Medal for the “Use of Anti-Knock Compounds in Motor Fuels”. In 1923, Midgley took a time off to cure himself of lead poisoning. “After about a year’s work in organic lead,” he wrote in January 1923, “I find that my lungs have been affected and that it is necessary to drop all work and get a large supply of fresh air.” He went to Miami, Florida for vacation. In the 1920s, air conditioning and refrigeration systems employed compounds such as ammonia (NH3), chloromethane (CH3Cl), propane, and sulfur dioxide (SO2) as refrigerants. These were toxic, flammable or explosive and, in the event of leakage, could result in serious illness, injury or even death. The Frigidaire division of General Motors, at that time a leading manufacturer of such systems, sought a non-toxic, non-flammable alternative to these refrigerants Kettering, the vice president of General Motors Research Corporation at that time, assembled a team that included Midgley and Albert L. Henne to develop such a compound. The team soon narrowed their focus to alkyl halides (the combination of carbon chains and halogens), which were known to be highly volatile and also chemically inert. They eventually settled on the concept of incorporating fluorine into a hydrocarbon. They rejected the assumption that such compounds would be toxic, believing that the stability of the carbon fluorine bond would be sufficient to prevent the release of hydrogen fluoride or other potential breakdown products. The team eventually synthesized dichlorodifluoromethane, the first chlorofluorocarbon (CFC), which they named “Freon”. This compound is more commonly referred to today as “Freon 12”, or “R 12”. Freon and other CFCs soon replaced the various toxic or explosive substances previously used as refrigerants, and were later used in other applications, such as propellants in aerosol spray cans and asthma inhalers. The Society of Chemical Industry awarded Midgley the Perkin Medal in 1937 for this work. In 1940, at the age of 51, Midgley contracted polio, leaving him disabled. This led him to devise an elaborate system of strings and pulleys to help lift him out of bed. This system was the cause of his death when he was entangled in the ropes of this device and died of strangulation at the age of 55. Midgley died three decades before the ozone-depleting effects of CFCs in the atmosphere became widely known. Another adverse effect of Midgley’s work was the release of large quantities of lead into the atmosphere as a result of the large-scale combustion of leaded gasoline all over the world. A list of refrigerants unacceptable by the U.S. Environmental Protection Agency grew by leaps and bounds on July 10, when EPA proposed to prohibit the use of certain chemicals that significantly contributes to climate change. The EPA’s action is to reduce emissions of hydro fluorocarbons (HFCs), a class of “potent greenhouse gases,” under President Obama’s Climate Action Plan. EPA says it estimates the ban reduces greenhouse gases by up to 42 million metric tons of carbon dioxide equivalent by 2020, equal to the carbon dioxide emissions from the annual electricity use of more than five million homes. Under the authority of the Clean Air Act, EPA’s Significant New Alternatives Policy (SNAP) Program evaluates substitute chemicals and technologies that are safe for the ozone layer. The proposed action would change the status of certain so-called “high-global warming potential (GWP) HFCs” that were previously listed as acceptable under the SNAP Program to be unacceptable in specific end-uses based on information showing that other alternatives are available for the same uses that pose lower risk overall to human health or the climate. • HFC-227ea, R-407B, R-421B, R-422A, R-422C, R-422D, R-428A, and R-434A as unacceptable. 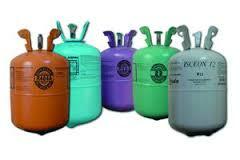 • HFC-134a and certain other HFC refrigerant blends as unacceptable. For A. New and retrofit retail food refrigeration (including stand-alone equipment, condensing units, direct supermarket systems, and indirect supermarket systems) and for new and retrofit vending machines, as of January 1, 2016: the HFC blends R-507A and R-404A are unacceptable. • B. For new and retrofit retail food refrigeration (including direct supermarket systems and indirect supermarket systems), as of January 1, 2016: HFC-227ea, R-407B, R-421B, R-422A, R-422C, R-422D, R-428A, and R-434A are unacceptable. • C. For new, stand-alone retail food refrigeration and new vending machines, as of January 1, 2016: HFC-134a and certain other HFC refrigerant blends are unacceptable. • D. For all foam blowing end-uses, as of January 1, 2017, except where allowed under a narrowed use limit: HFC-134a and blends thereof are unacceptable; HFC-143a, HFC-245fa and HFC-365mfc and blends thereof, and the HFC blends Formacel B, and Formacel Z-6 are unacceptable in all foam blowing end-uses where they are currently listed as acceptable, except for spray foam applications. • E. HFC blend Formacel TI is unacceptable in all foam blowing end-uses where it is currently listed as acceptable. This rule also proposes to list as unacceptable certain hydro chlorofluorocarbons (HCFCs) being phased out under the Montreal Protocol where substitutes are available that pose overall lower risk to human health and/or the environment. This proposal responds to the President’s Climate Action Plan by prohibiting certain uses of high global warming potential HFCs where alternatives are available that are safer for human health and the environment. The emissions reductions from this proposed rule are estimated to be 31 to 42 million metric tons of carbon dioxide equivalent in 2020. In 1949, The Refrigeration Industry’s name was changed for the first time to Commercial Refrigeration and Air Conditioning. The change reflected the growing importance of commercial air conditioning as a necessity. 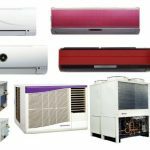 The change indicated the growing importance of air conditioning as it surpassed refrigeration in the market. 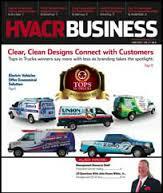 It became the Contracting Business.com magazine in 2009. The magazine was dedicated to the men and women responsible for the systems necessary to keep food fresh on board U.S. Naval ships, military bases, and right here in the U.S.
Over the decades the magazine reported on the trends in the contracting business. The 1950s, air conditioning was used in hospitals to ease the healing of wounded soldiers from the Korean War. By the end of the 1950s air conditioning moved to centralized systems. .
By the 1980s The Department of Energy was created and began making policies that still impact the HVAC industry today. The industry went from construction boom to bust, saw the birth of the gigantic replacement market, and the computerization of business changing forever how contractors operated in the marketplace. The magazine developed a trivia quiz to celebrate this anniversary. There are 18 questions and each question is worth 5 points. There are four BONUS questions for a total of 20 additional points. There is a total of 110 points. Keep track of your answers, then compare them to the key found at the end of the quiz. Start the quiz on the right side of the screen. Answer each question (write your answers down), click Next to see the next question. The auto cooling system protects the engine from overheating as the vehicle runs. Since the engine burns fuel, it produces energy: one third of it turns into mechanical power, while the rest is transformed into heat. But not all that heat goes straight out of the tail pipe. Even on the hottest summer day, the temperature will never be higher than it is under the hood. If it weren’t for the cooling system, the engine would be damaged by the excessive heat. 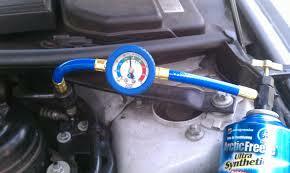 The processes in the cooling system, first, the water pump pushes fluid to the engine block to absorb heat. Then, the mixture travels to the radiator, where it is cooled by the fan and the air stream coming from the outside. Once the fluid is cooled, it goes back to the engine, and the operation starts over again. The thermostat controls the engine’s temperature and doesn’t allow the flow of coolant from the engine back to the radiator. If you are looking for an air conditioning kit that will get your car back on the road, then you might want to check out the auto Freon R134a Kit called Quest at Auto Parts. This AC kit is backed by our industry leading warranty, and the best USA based auto parts customer service and repair knowledge professionals in the business. Quest is three 12 oz. cans of High Mileage R134a for a full system charge plus a recharge hose with gauge handle for checking system pressure while adding refrigerant. Also includes R134a high side and low side retrofit fittings and a third fitting for pre-1976 vehicles and late model imports, caps, EPA approved label, and complete instructions. Auto Parts stocks a wide range of ac kits for every make and model of car, truck and SUV. The AC Kits are manufactured to the highest quality standards. 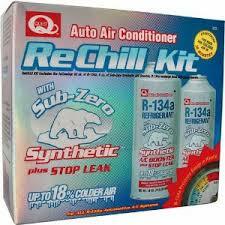 This AC kit is backed by industry leading warranty. c. Patented R134a recharge hose with quick-connect and can tap. Also includes R134a high side and low side retrofit fittings, caps, EPA approved label, and complete instructions. Note: ‘R-134A also known as HFC-134A is a hydro fluorocarbons refrigerant essentially used as residential and automotive refrigerants.’ It was developed to replace ‘chlorofluorocarbon (CFC)’ refrigerants that were detrimental to the ozone layer. 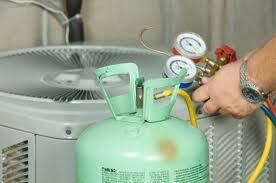 Note: A refrigerant is a substance or mixture, usually a fluid, used in a heat pump and refrigeration cycle. In most cycles it undergoes phase transitions from a liquid to a gas and back. Casinos are one of the few public places that allow indoor smoking. They are faced with a unique air quality challenge. 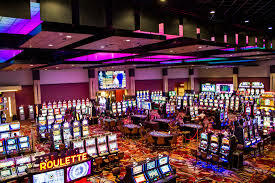 In addition to cigarette smoke, gaming facilities must also control malodors related to customer density, food services and restroom facilities in order to encourage guests to stay and play. In the competitive world of casino gaming, allowing an unfavorable smell to drive players away can be costly to business. Most casino operators don’t realize the amount of paper ash, tar, nicotine, and carcinogens that are emitted into the breathing zone from a single burning cigarette. The atmosphere in casinos, with or without smoke, is extremely dirty. The constant flow of people in and out creates a variety of pollutants, including bacteria and virus droplets that are passed on to employees. Dirt, perspiration, cologne, perfume, skin flakes, and other human emissions combine to make unacceptable indoor air quality in most gaming environments. Scented chemicals are used to mask the order from tobacco and other orders in casinos. The uses of scented chemicals that have major health implications associated with them are intentionally being pumped into casinos to mask tobacco smoke odors. Sooner or later their employees can become sick. The utilization of chemically fragrant products through a casino’s ventilation system is not healthy. Laboratory tests commissioned by the Campaign for Safe Cosmetics revealed 38 secret chemicals in 17 name brand products, with an average of 14 secret chemicals per product. The chemicals in commercial fragrances are synthetic compounds derived from petroleum and natural gas, known as petrochemicals. On average, 80% of fragrance formulations are comprised of these chemicals and in some cases, 100% of a formula can be synthetic. A night of exciting entertainment and sparkling lights is more enjoyable in a freshly scented environment. Removing unwanted odors in crowded places encourages people to stay and play. Keeping guests on the game floor longer and higher revenues are guaranteed. Quality air scents denote a sense of elegance and class to an establishment, and visitors spend more time and money in these places. Health advocates are warning gamblers that they may be risking their health along with their money when they play at casinos. A study released recently by two area health organizations found unhealthy levels of air pollution on the smoky gaming floors of casinos. Casinos often receive exemptions to clean indoor air laws. That special treatment has put gaming establishments on the front lines in recent battles over whether to curb or extend legal restrictions on smoking. Nationwide, city councils and state legislatures have fought over including casinos in their smoking bans. Casinos insist that their business relies disproportionately on smokers, while health advocates point to profitable casinos in states where smoking isn’t allowed. Cigarette smoke is a very difficult pollutant to remove from the air. This is because there are two major components to the smoke. The first problem of cigarette smoke is the many toxic gasses produced by burning cigarettes. Ammonia gasses, Carbon Monoxide, and phenol are just a few of the dozens of toxic gasses produced when cigarettes are burned; these gasses have foul odors and are highly toxic. The second problematic component of cigarette smoke is the very high level of tar solids that are disseminated into the air when cigarettes are burned. This petroleum based tar clouds the air and sticks to every surface of the room. This tar discolors paint and it also has a terrible, sickening odor. There are air technologies that can eliminate more than just tobacco odor and smoke. Using activated oxygen generated by molecular oxidizers can sterilize the air handlers and existing ductwork while killing harmful microorganisms such as Legionella, mold, and mildew in the process. 75% of people in the U.S. don’t smoke, and most of them are bothered by second hand smoke when they go to public places. So Casino patrons will breathe and feel better in an establishment if it is smoke free. 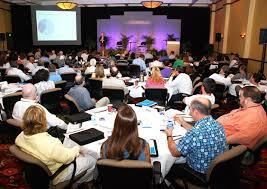 Cold Air in business Meetings do they do that to keep people awake or kill germs? As summer-clad office workers, conference attendees and event guests stream into meeting rooms and reception halls nationwide, many are met with a blast of Arctic air. “Over-chilling” is one of the top complaints of meeting planners, says Donald Young of the International Facility Management Association. Folks in charge of thermostats say this: You have to pre-chill so you don’t overheat. “We always make it as cold as possible prior to the event starting, because it’s a better experience,” says Eric Whitson, director of sales at the National Conference Center in Lansdowne, Va. That means about 65 degrees. “At first it’s going to be chilly to most people who enter, but the temperature goes up as those numbers build.” It should end up at about 70 degrees, he says. There’s only one problem with this logic, says Kent Peterson, past president of the American Society of Heating, Refrigerating and Air-Conditioning Engineers: It is wrong. The whole idea of getting a room cold before the people come flies in the face of ASHRAE’s 114 years of experience, Peterson says. And no excuses about the addition of all those heat-producing bodies. That should have been taken into consideration when the system was designed, he says. “Cooling load calculations” are based on how many people are in the space and what activities they are to be engaged in, whether it’s dancing or sitting. “Our industry is very good at doing these calculations,” he says. Meeting planner Debby Goedeke of the Albany County Convention and Visitors Bureau in Albany, N.Y., says clients often ask that ballrooms and meeting rooms be kept colder so that attendees will stay alert. They want their attendees’ cold. Eric Papp of Tampa-based Generation Y Consulting is in that camp. He speaks about 13 times a month in hotels and likes to have it “a little cold because it keeps people alert.” Cold air does little to kill germs. It was found that cold employees weren’t just uncomfortable, they were distracted. 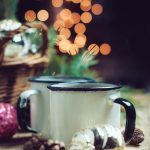 When the body’s temperature drops, people expend energy keeping themselves warm, making less energy available for concentration, inspiration, and insight. Overly air conditioned offices are one of those conundrums many people have to face on a daily basis. It is sweltering outside. Like so hot that the shower you took a half hour ago was pointless and you are contemplating just pouring a bucket of water on yourself before you go to your desk. But then you get inside and it feels great! However, after a little while you realize you have goose bumps all over your arms–and need a sweater. Actually, more like a jacket. And a pair of gloves wouldn’t hurt. A study found that Cold employees weren’t just uncomfortable, they were distracted. The drop in performance was costing employers 10% more per hour, per employee. And it’s not just performance that dips, our impression of the people around us changes. In a study reported in the journal Science, psychologists uncovered a link between physical and interpersonal warmth. When people feel cold physically, they’re also more likely to perceive others as less generous and caring. They view them as cold. When people are warm, on the other hand, they let their guard down and view themselves as more similar to those around them. Researchers at UCLA even states that brief exposure to warmer temperatures leads people to report higher job satisfaction. The same area of the brain that lights up when we sense temperature–the insular cortex–is also active when we feel trust and empathy toward another person. When we experience warmth, we experience trust. And vice versa. The Seiders brothers (Roy and Ryan) set out to make a cooler that could stand up to abuse. A cooler that could be used as a seat, a casting platform, storage for fish, and keep drinks cold. The Seiders brothers founded the company, Yeti Coolers, Austin, TX. They developed a boxy design with a simple white paint job to deflect the sun’s rays. You can find the coolers at construction sites, oil fields, and camping sites. They are found at Coast Guard’s and military bases. They are used by doctors and veterinarians to transport organs. A lot of your college kids are buying them too. The Interagency Grizzly Bear Committee has granted the coolers a seal of approval. They are made like a normal cooler, but have more plastic and polyurethane foam walls. Yeti’s Tundra line comes in 11 different sizes, ranging in price from $229 to upwards of $1,300. The Tundra 420 is a 110-pound ice chest. According to the company, total revenue has exploded, from $30 million in 2011 to more than $100 million so far in 2013. Bass Pro Shops (Outdoor Equipment Shop) states they can’t keep them in stock. They are appealing to campers and hunters. Buyers may select from several models; Realtree camouflage, Green Egg grills, Copenhagen snuff, and Mello Yello. 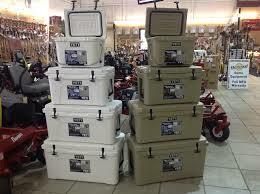 “YETI Coolers are built to be indestructible and keep ice for days. Built for going toe-to-toe with hungry grizzlies.